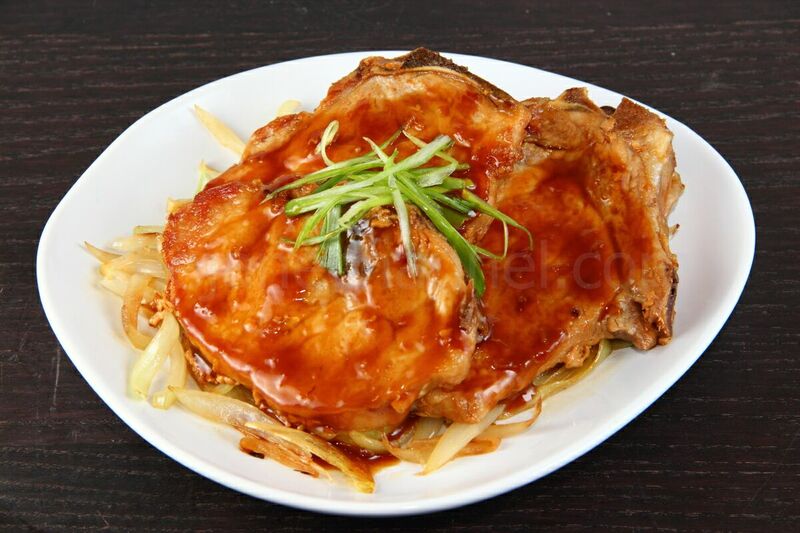 Pork Shogayaki, which literally means ginger grilled pork, is a classic Japanese dish that is great to make for a casual meal. The preparation time is short, but the dish can also be made to look fancy and tastes great. Ginger and pork go really well together, as you will be able to appreciate if you try out this recipe. Enjoy! 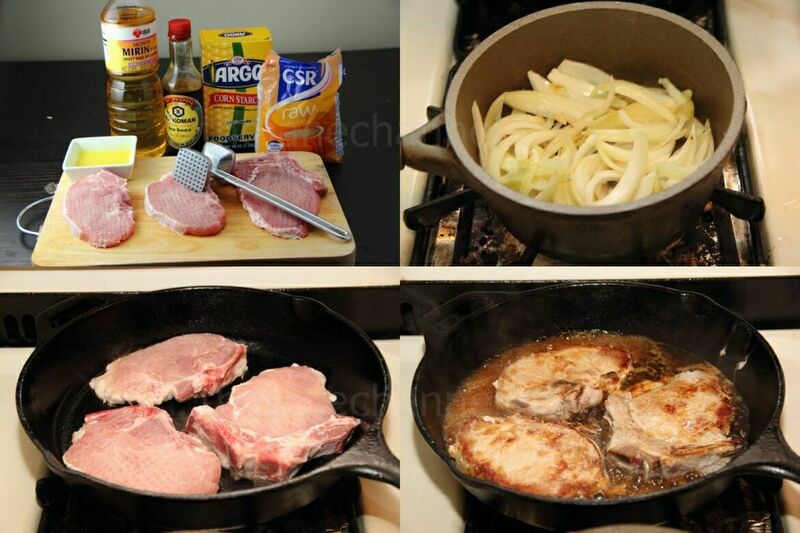 Clean and dry the pork chops. Using a meat mallet, pound pork chops until they are about 1/2 inch thick. Combine soy sauce, mirin, ginger juice and sugar in a small bowl. In another bowl, mix the corn starch with 2 tablespoons of water. Heat oil in a medium size skillet and saute chopped onions. Cook 6 minutes stirring occasionally or until onions are golden brown.